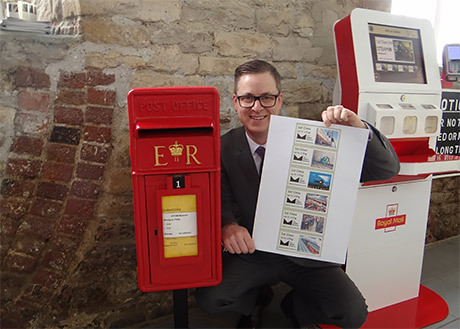 Collectors of railway heritage stamps will be in for a treat on Monday 20 February when STEAM launches the new 'Mail by Rail' stamps in Swindon, at the Museum's permanent Post & Go kiosk. There are 6 stamps in the set, available in 1st class only from 11.00am on 20 February at STEAM until 15 March. 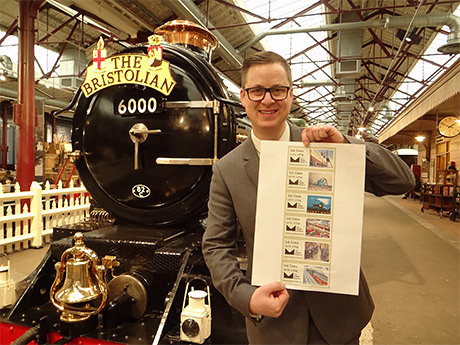 "We are very pleased to have these exciting new railway heritage stamps available at STEAM and advise collectors to ensure they don't miss out on these stunning special editions." 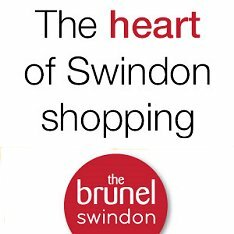 "These are beautiful stamps and STEAM is a very appropriate venue to launch them. They perfectly reflect the fantastic railway heritage that is reflected in this iconic railway museum." The Royal Mail Post & Go machine is located in the Scraggery area of STEAM and visitors do not need to pay to access this part of the Museum.